The ‘Stark Law’ refers to a collection of federal regulations that prohibit self-referral by physicians. Medical practice owners and operators must be aware of these regulations. 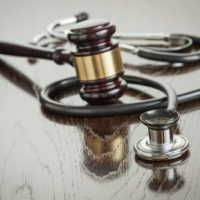 Stark Law violations can come with severe penalties, potentially including denial of payment, heavy fines, and a permanent exclusion from participating in federally funded health programs (Medicare & Medicaid). In recent years, there have been serious talks about reforming the Stark regulations. Reform is now beginning to pick up speed. Earlier this summer, the Trump Administration made it clear that action is closer than ever. In June, the Centers for Medicare & Medicaid Services (CMS) issued a public request for information on ideas and policy changes that could help to address the regulatory burden caused by the Stark Law. Possible reforms the Stark Law regulations that would help to ease the burden on physicians. CMS Administrator Seema Verma has put together inter-governmental panels on this issue and has stated that her agency’s proposed Stark Law changes are expected to be released by the end of this year. As medical professionals know well, regulatory reform can move at a slow, sometimes gradual pace. It is far from certain that the Stark Law will be reformed at all, and it is not clear as to what exactly the future reforms will look like. Though, there is strong evidence that a bipartisan consensus is developing that real changes are needed to the Stark Law. At Pike & Lustig, LLP, our Miami physician practice management attorneys represent professionals in handling a wide range of Stark Law issues. As always, our law firm will keep a close watch on any relevant regulatory changes. At Pike & Lustig, LLP, our Miami business law attorneys have extensive experience serving medical professionals and medical practices. This includes handling Stark Law matters. To learn more about what our Florida business lawyers can do for you, please contact us today for a fully private consultation. With offices in Miami and West Palm Beach, we represent medical practices all around the region.